Pets! Pets! Pets! Pet Fun! 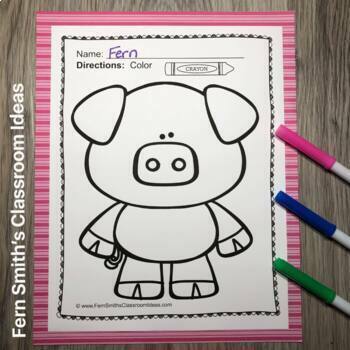 Color For Fun Printable Coloring Pages with 40 Coloring Pages for your classroom or personal children's fun! 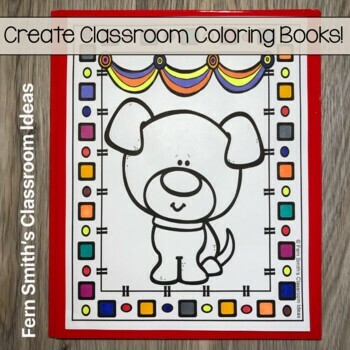 Students can draw in a pet background, or what they would do if they could get any type of pet and decorate the background. Use it for all sorts of jump off points for creative writing lessons! Coloring Pages for Pets! Pets! Pets! Pets! Pet Fun! Color For Fun Printable Coloring Pages! 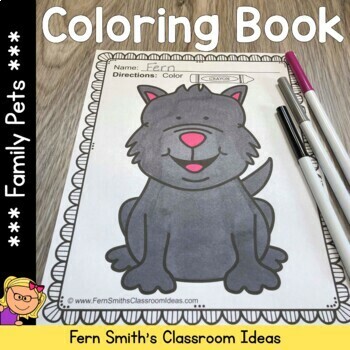 This Color For Fun is Perfect for Any Family Pet Unit, Pet Social Studies Unit or Pet Literacy Unit! All kids love learning about PETS! Pet Fun! Color For Fun Printable Coloring Pages! Click here to buy this resource BUNDLED in my FALL BIG DISCOUNTED bundle that comes with a SUBSTANTIAL DISCOUNT! 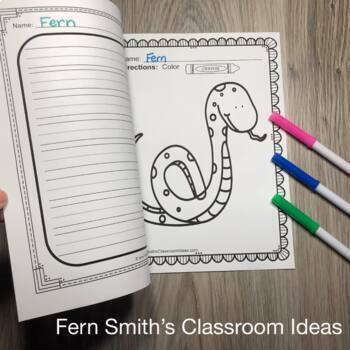 * Print all the pages and bind together for your students for a literacy center writing book. * Terrific for your Emergency Sub Tub for morning work, let the sub have a few minutes to read your plans while the children color! © Fern Smith, All Rights Reserved.